Photo: Students happy about the farm-fresh eggs produced on campus! 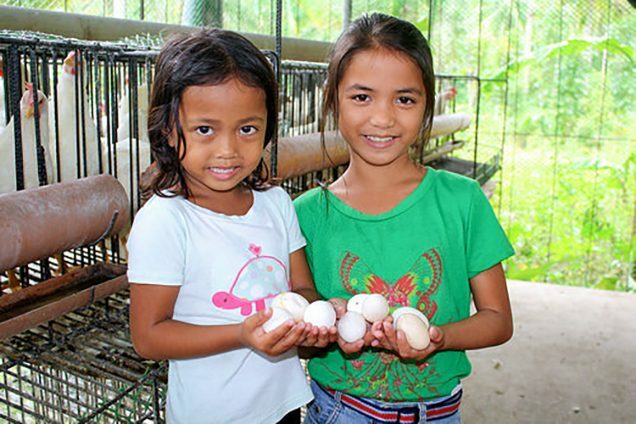 We are happy to report that improvements have been made to our hen house and fishery projects on the island of Cebu which have increased production levels. The old hen house was made of wood which rotted easily and was prone to destruction by moths. The new hen house is made of steel, round bars, and G.I. pipe — a very strong structure which can withstand collapse when there is a typhoon. Our new hen house holds 185 chickens — currently yielding 150 eggs per day which are sold for profit and also are used to support the nutrition of the students and children in our outreach programs. Aerators were recently added to our fishery which help produce oxygen in the water and improve the health of the fish, extending their lives. Some advantages of the model are that the fish require less feed than the hens and no medicines, and the project is environmentally friendly and low-maintenance. Our first harvest of fish is scheduled for November 3rd — we expect to glean 6,000 fish which will also be sold for profit, and will add a delicious and nutritious staple to the children in our outreach programs. The concrete-lined pond at our fishery holds a volume of approximately 20,000 gallons (75,000 liters) of fresh water pumped from our on-campus well. Also on the same property is a small vegetable garden, and our banana grove that yields over 6,000 bananas annually. 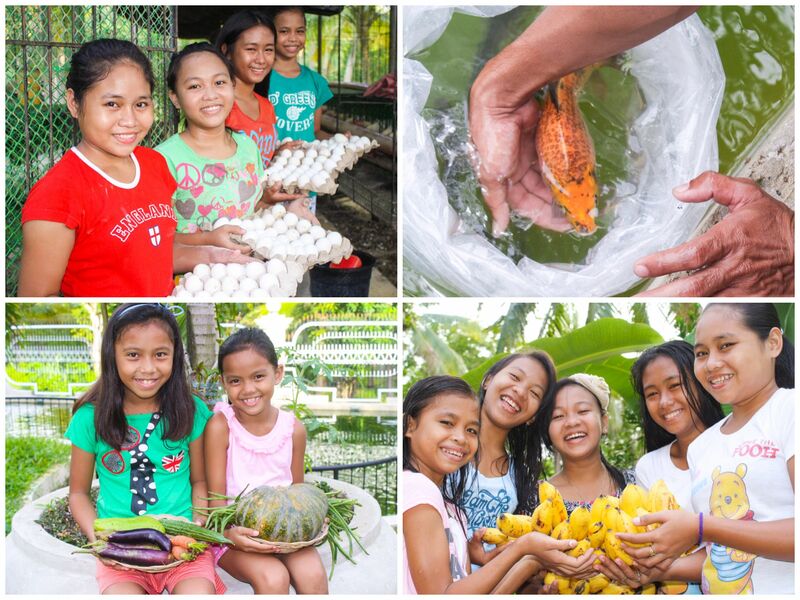 Having the fishery in addition to the new hen house, vegetable garden, and banana grove provides the benefit of diversification at our farmland enterprise in the Philippines. Our outreach on the island of Cebu includes scholarships and nutritional support for students recovering from child labor or abusive situations, and a weekly outreach to children in various locations around the island. These weekly outreaches usually take place on a Saturday, and average about 100 children in attendance. The program is styled after a VBS day camp feel, but also includes dental hygiene training and distribution of toothbrushes and toothpaste — on the island, 3 out of 4 children suffer from tooth decay by the age of 6. We look forward to reporting back to you about our upcoming fishery harvest, and our native team’s continued good work in the Philippines.